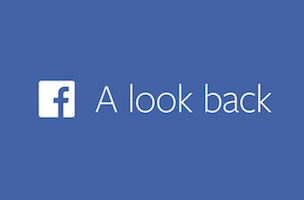 It’s likely that many of you created a “Look Back” video during Facebook’s 10th anniversary extravaganza. But did you know that the feature was created by Facebook engineers in less than a month? Over 200 million people watched their Look Back movie in the first two days, and more than 50 percent have shared their movie. Thirty teams throughout the company worked on the “Look Back” feature, which is why it came together so fast. A feature like this is normally something that would take months of advance planning. To plan for even more load, we began with some educated guesses, put them through some back-of-the-envelope math, and decided to plan for 25 million videos shared within a day of the anniversary. We estimated that for every video shared, five people would watch that video. Multiplying those views by the video size, dividing by seconds in a day, we calculated that we would need an average additional bandwidth of about 62 Gbps. Since traffic can be 2-3x higher at peak, we actually needed to plan for 187 Gbps. That’s more than 20,000 average US high-speed internet connections, fully saturated all the time. Our network engineers had some work to do. To store videos for everyone, we would need an estimated 25 petabytes of disk space. Visualized as a stack of standard 1TB laptop drives, this would be a tower measuring more than 775 feet tall – two-thirds the height of the Empire State Building. We couldn’t make the videos without having this space, so the disks had to be procured within a week or two at the most. Readers: Did you enjoy your Look Back video?